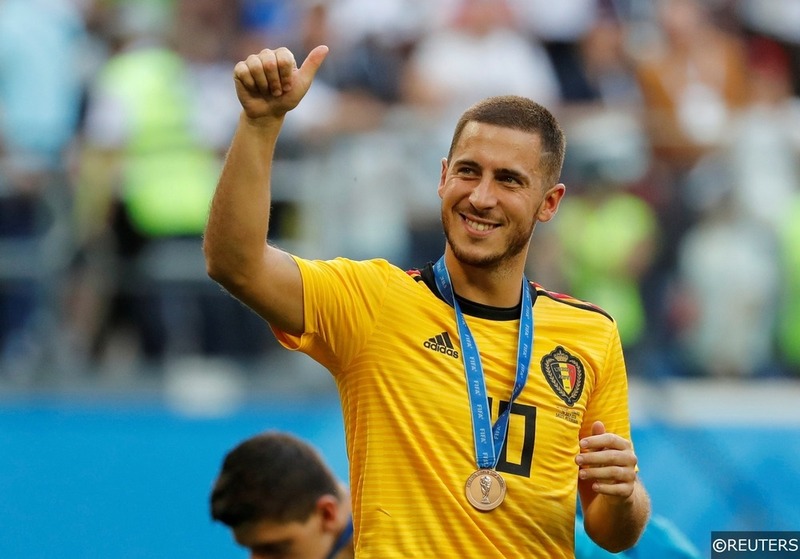 Eden Hazard now 1/5 to join Real Madrid – Is the Belgian heading for the Bernabeu? Rumours linking Eden Hazard with a move to Real Madrid have stepped up a gear this week. Not even 24 hours on from another outstanding performance from the Belgian as Chelsea saw off West Ham 2-0 on Monday night, Maurizio Sarri has had to field more questions about the potential summer departure of one of the stars of the Premier League. ‘If Eden wants another experience it’s very difficult to keep him,’ Sarri told Sky Sports following the London derby win. In truth, the decision is unlikely to be Sarri’s to make but with Hazard’s contract set to expire in June 2020, Chelsea will risk losing him for nothing unless they cash in this summer. Noises coming out of the Real Madrid camp also appear to have made this transfer likely to happen this summer and Hazard is now 1/5 to join the Spanish club before the transfer deadline at the start of next season. Check out our Request a Bet Stat Pack for this week’s Champions League Quarter-Finals. For any transfer to go through, there needs to be both a willing buyer and seller as well as a player who wants the move. In an era of relentless transfer speculation, many supposed transfer links fall well short when it comes to one or more of those factors. However in this case, it seems that all three things could well fall into place soon, providing the clubs can agree a fee. Eden Hazard has been openly flirting with Los Blancos for well over a year now, going as far as to describe playing for Real Madrid as ‘a dream’. Having recently turned 28 and being at the very top of his game, he is clearly in the prime of his football career. From both a financial and football perspective, this would seem like the perfect time for Hazard to make a big move and commit his peak football years to the club he has described as the biggest in the world. Real Madrid also now appear increasingly willing buyers. Last summer, Hazard was effectively third choice on their shopping list behind Neymar and Kylian Mbappé. Unable to entice either away from Paris, Los Blancos ultimately decided against going in for a ‘galactico’, something that has since proved a mistake given the abject failure of this season. There were hopes in the Spanish capital that PSG would be hit with a heavy Financial Fair Play punishment forcing them to sell one of their star assets this summer. However the French side now appear to be off the hook in that regard, which will again make it tough for Real to go in for Neymar or Mbappé. In any case, Hazard’s stock has if anything risen since last summer and Zinedine Zidane’s return also appears to make the transfer more likely. Los Blancos may in part fund a move for Hazard by cashing in on Gareth Bale. Check out where the Welshman could be heading next here. The third piece in the jigsaw for Eden Hazard moving to the Bernabeu is Chelsea agreeing to let him go. 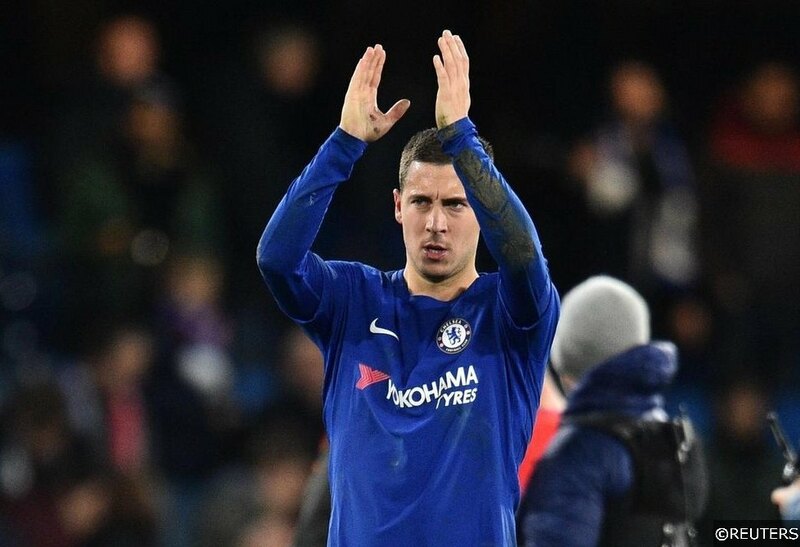 While they may be reluctant sellers, a bid of around £100 million would be very tough for the Londoners to turn down unless they can somehow convince Hazard to extend his contract beyond 2020. The Belgian hasn’t penned a new deal at Stamford Bridge since February 2015 though and that seems unlikely. Hazard is now out to 11/4 to stay at Chelsea with Betfair. It’s a bit curious that those odds have drifted just as Chelsea’s hopes of making the top four have increased. 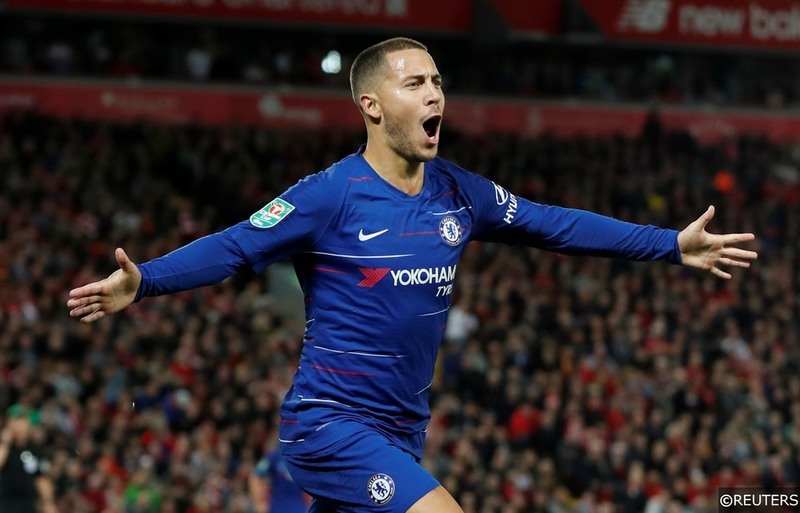 Three straight wins have pushed them up to 3rd in the Premier League and while Champions League qualification alone is unlikely to be enough to convince Hazard to stay put, it is almost a necessity if they are to have any chance of hanging on to him. There is though another factor which anyone betting on this market should keep a close eye on. Chelsea are still hoping to get their transfer ban lifted or at least delayed beyond this summer. If they fail to do that, it would at least raise the possibility that they simply decide to reject all bids for Hazard, even if that means losing him for nothing in 2020. Without their talisman, it’s difficult to see any way Chelsea could make the top four next season, which would lead to a significant loss in revenue in any case. Keeping an unhappy player is always a risky business but that’s also true of selling him without any chance to reinvest so this is a saga that could yet go through a few more twists and turns before it reaches any firm conclusion. Read betting tips and analysis on the race for the top four in the Premier League here. Could he go somewhere else? The bookies seem to think there are only two clubs that Eden Hazard could potentially be turning out for next season. Besides Real Madrid and his current employers, PSG are next in the betting at 33/1 to sign Hazard this summer with Betfair. In what could be a huge summer of transfer activity involving some of the top players in Europe, it’s at least possible to see how that could become a more likely scenario. Real Madrid could yet decide the best response to the disappointment of this season, where they have a been a class beneath eternal rivals Barcelona, is to launch a record-breaking move for former Barca man Neymar, who is said to be keen to return to Spain. It’s not totally out of the question that Barca look to reunite the ‘MSN’ either and that could lead to a situation where PSG go in for Hazard. However the Belgian may simply decide he’d rather stay at Stamford Bridge in that case, certainly if Chelsea do make the Champions League. Barcelona meanwhile are 40/1 to sign Hazard with Betfair. Hazard at this point would have to be seen as an upgrade on Ousmane Dembele. However the Frenchman has now settled down after a difficult start to his Barca career and a move to Catalonia for Hazard seems highly unlikely, not least because of how many positive things he has said about Real Madrid. Further out, Manchester City and Juventus are both available at 50/1 to sign the Chelsea man while Manchester United are out at 80/1. Again all three look unlikely right now but they are very long odds and we are talking about a player who would surely be an asset to just about any top club in Europe. A scenario where Chelsea failed to make the top four or win the Europa League coupled with a cooling in interest from Madrid, could potentially spark a bidding war for the Belgian not dissimilar to the Alexis Sanchez situation at Arsenal in January 2018. With his contract running down, that ultimately sparked both Manchester clubs into life, even though the Chilean wasn’t necessarily at the top of either’s shopping lists. Despite the lack of football, it could certainly be a very interesting summer where one big move could have a huge domino effect and spark a host of others. Categories: Betting Odds, Blog, Football, and Transfer News. Tags: Eden Hazard. Team Tag: Chelsea and real madrid. League: England Premier League and Spanish La Liga. Sports: Football.